Hacker (real name), David W., and Peter A.’s wife, Denise, have Lyme disease, and Reese has ehrlichiosis, which my wife and I both had several years ago and which can be thought of as Lyme disease delivered by sledge hammer. 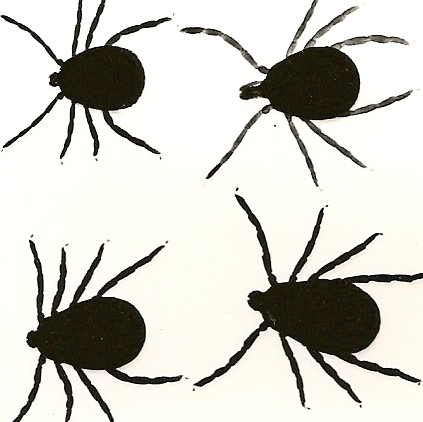 (You can get Lyme and ehrlichiosis from the same tick bite, as I did—a nasty combination.) The standard treatment for both diseases is the antibiotic doxycycline; all three are taking it. It’s never too early to teach golf etiquette. The thing we emphasized to the kids is that, if they serve themselves from the Sunday Morning Group’s kegerator, in the storeroom next to the men’s locker room, they need to leave two dollars in the beer-money box. You would not believe how many people “forget” to do that. 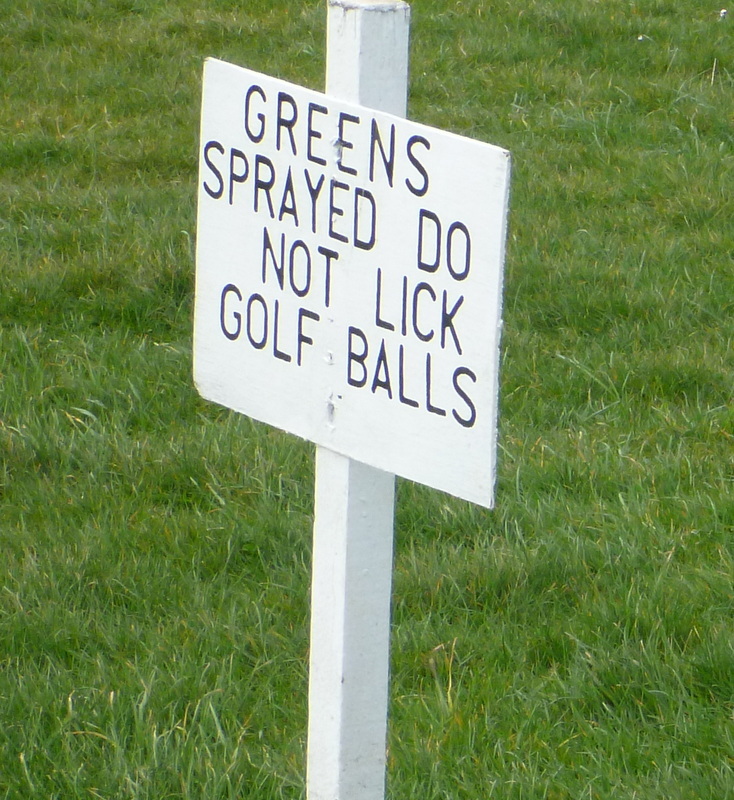 At the U.S. Open at Shinnecock in 1995, a rumor went around that a well-known sportswriter had Lyme disease. 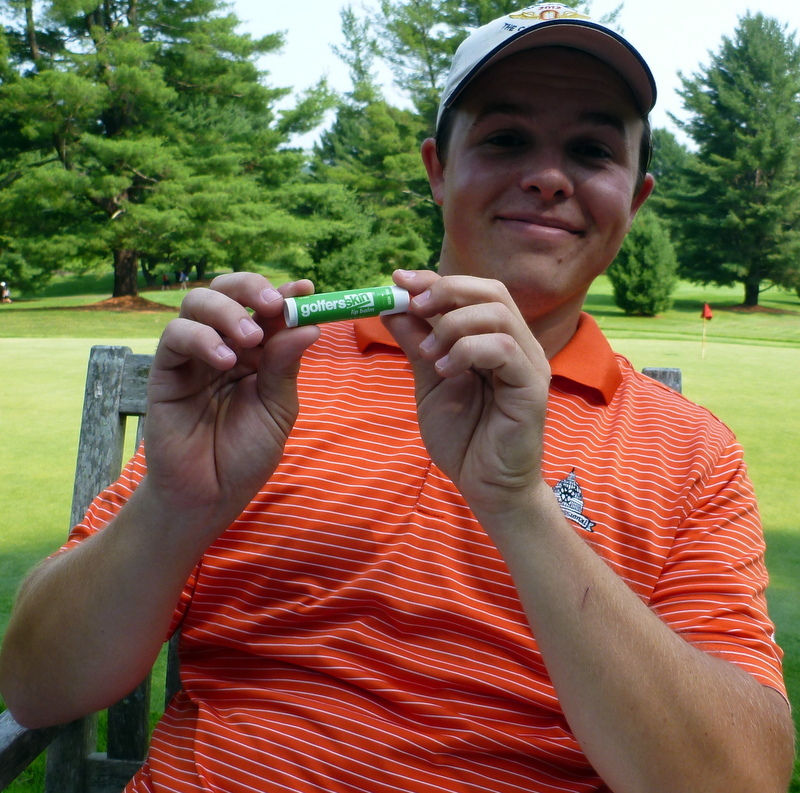 The sportswriter was famous for covering tournaments without actually setting foot on the course, and someone commented that the only way he could have gotten Lyme disease was if you could get it from limes. Now I have it. Lyme is so common where I live that I don’t remember whether this is the fifth time or the sixth. I’ve become pretty good at self-diagnosis, although as I’ve gotten older I’ve noticed that the symptoms of Lyme (including achy joints, fatigue, and tingly arms and legs) can be hard to distinguish from the symptoms of middle age. At any rate, two days after my brother’s member-guest, I developed a fever of 100-plus, in addition to all the other stuff. I’ve been taking doxycycline twice a day since then. Doxycycline has an annoying side effect: it makes your skin extraordinarily sensitive to sunlight. I learned that the hard way a dozen years ago, when I got Lyme in October. I forgot all about the sun problem, played golf for two days in southern New Jersey without sunscreen, and wondered why my face and lips were burning—a problem that took days, or possibly weeks, to go away. This time, I’m being careful to wear long pants, long sleeves, rain gloves, and a hat, plus plenty of sunscreen. 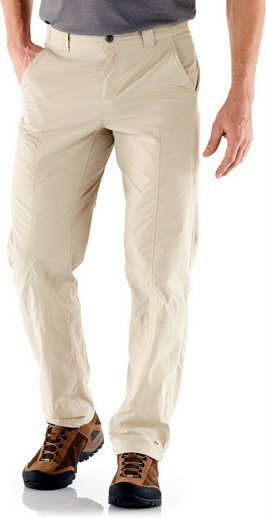 I was worried at first that the other guys at the club would call me “Permethrin Pants” when I showed up without shorts, but so far everybody’s been pretty decent. Penny (left) and deer tick. My wife and I are on Martha’s Vineyard, where the vacation activities include looking for, finding, and removing deer ticks, which carry Lyme disease. None of this is easy, because the ticks are extraordinarily small. 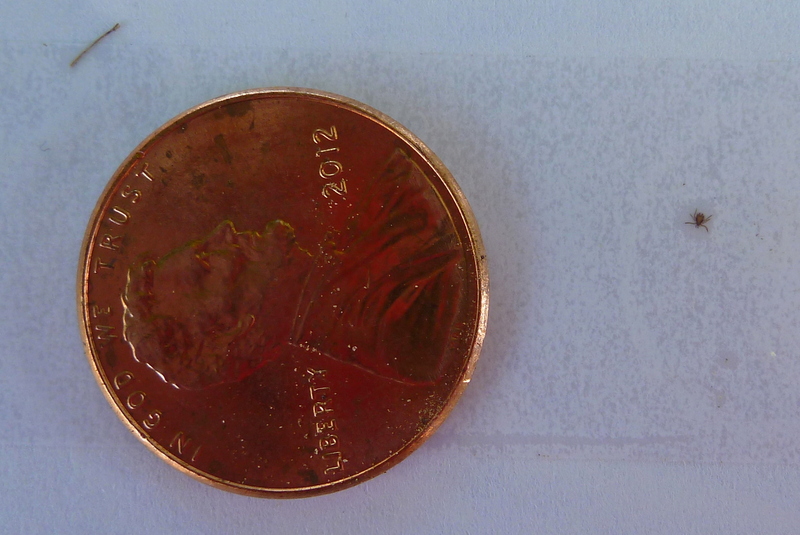 Here’s an enlarged detail from the photo above, in case you’re having trouble spotting the tick. Penny and deer tick (detail). I found the tick above between two of my toes and stuck it to a piece of paper with Scotch tape. It’s one of several dozen I’ve found so far, all of them on my feet and legs. I’ll let you know in a week or two whether I’ve contracted Lyme again. Luckily, tick-hunting isn’t the only vacation activity around here. 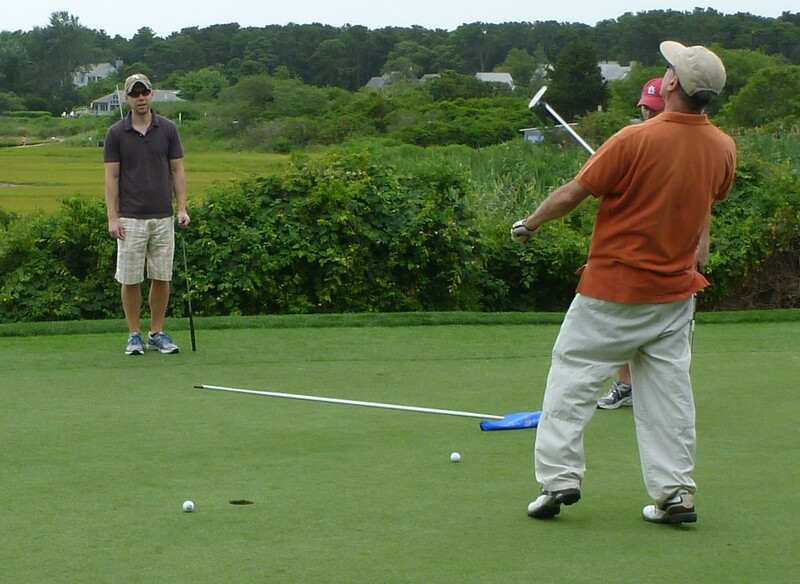 There’s also golf, on a course I like a lot, Farm Neck Golf Club, in Oak Bluffs. Here’s one of my favorite holes, the fourth, a par 3, on which you don’t want to be right, long, left, or short, but especially not right or long. I forgot to mention the wind. And here are the people I played with today, a roughly my-age guy, whose name was Richard, and his two sons-in-law. In the photo, Richard has just missed a short par putt after making a semi-miraculous chip shot from the edge of the cart path. That’s Richard, on the right. I hit the green but three-putted. The summer before last, I was sitting on a bench on a golf course on Martha’s Vineyard, waiting for the slowpokes ahead of me to putt out, and passing the time by admiring the sharply demarcated tan lines around my ankles. As is the case with many avid golfers, in high summer I appear to be wearing white socks even when I’m barefoot. (“Your feet look like replacement parts,” a non-player told me once. “Too bad they didn’t have them in your color.”) For variety, I also studied my shins, and marveled that so many of my freckles resembled tiny bugs. Then I gasped: Quite a few of those freckles were tiny bugs. Even without my bifocals, I could tell that they were deer ticks, at least a dozen of them on each leg. About an hour before, I had waded into a patch of tall grass (in order to take a whiz), and the ticks must have ambushed me there. I carefully removed all of them before teeing off, and made a mental note to add a pair of tweezers to my golf bag. 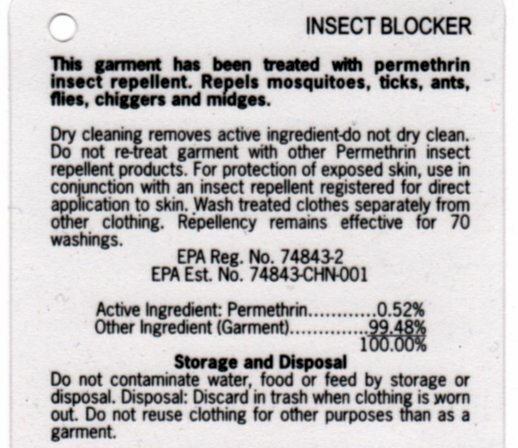 Lyme disease, which is transmitted by tick bites, is a significant hazard for golfers in my part of the country—especially for those of us who occasionally venture beyond closely mown areas, seldom play in long pants tucked into socks, and sometimes forget to bathe in DEET. 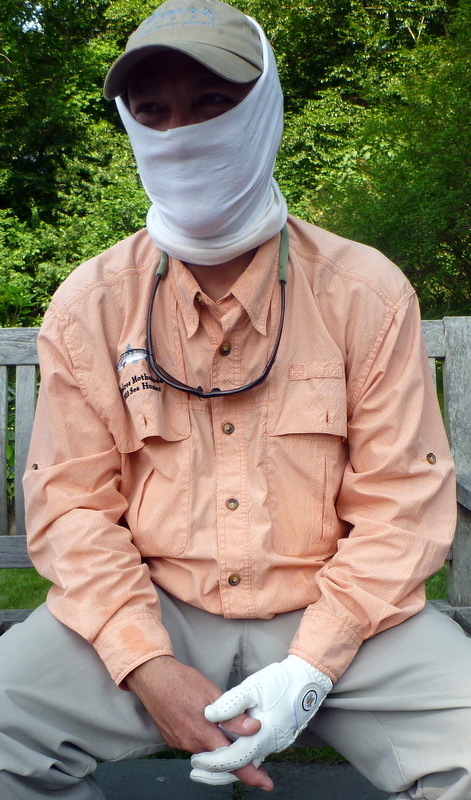 I didn’t get sick that time—deer ticks usually can’t infect you unless they’re embedded for a day or two—but the experience reminded me to be more careful. 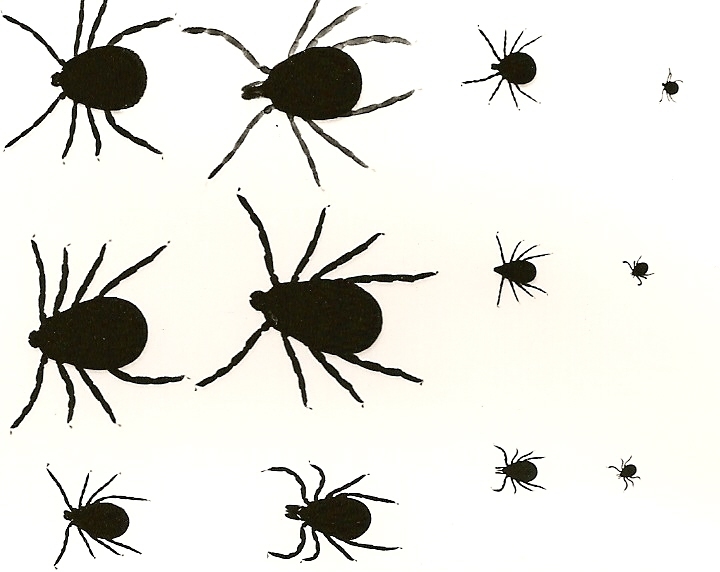 Nevertheless, in 2006 I did come down with Lyme, for the third time in ten years. (I’ve had it once more since then, and so has my dog.) Because I’m a veteran, I recognized the symptoms right away: flu-like aches and pains, throbbing head, a hip that hurt every time I swung a club. My doctor, whose handicap is 14, prescribed an antibiotic, even though neither of us could find evidence of a bite. I began taking the pills immediately, but still got so sick that I had to miss not only a week’s worth of golf but also my daughter’s college graduation. A blood test later proved that I’d had both Lyme and ehrlichiosis, another tick-borne disease, which is like Lyme delivered by sledge hammer. 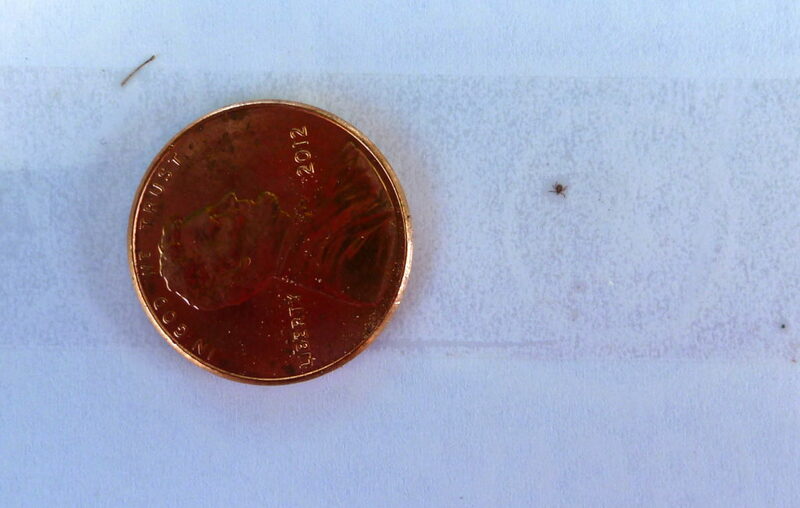 It is possible to get Lyme and ehrlichiosis from the same tick bite, as I probably did—most likely while playing golf. Two great things about about links golf in the British Isles and Ireland: hardly any lightning and no Lyme-bearing ticks. In 2008, eight friends from home and I spent a week playing golf in Scotland. Toward the end of the trip, Stanley suddenly got the sweats and felt lousy. He knew it was Lyme—he’s had it more often than I have—so he went to the medical clinic just down the road from Cruden Bay Golf Club. The doctor there had heard about Lyme but never seen a case. 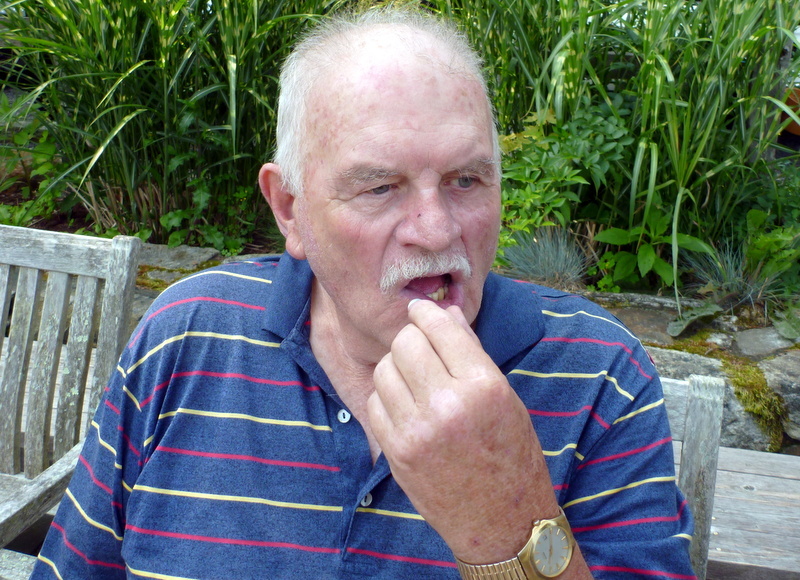 He looked it up in a book, agreed that Stanley’s symptoms matched the description, and prescribed doxycycline—no charge for the visit or the pills. It was Stanley’s seventieth birthday, so we all pitched in and got him a caddie. 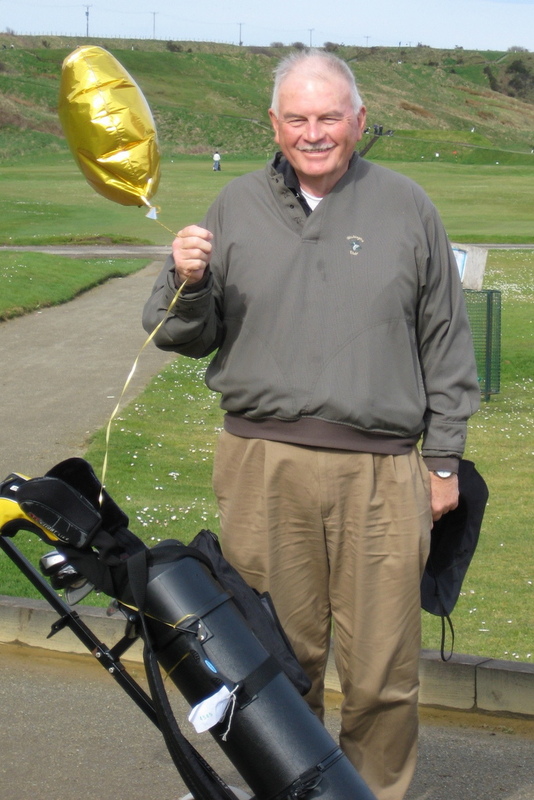 That’s Stanley below, on the mend at Cruden Bay, holding a birthday balloon that we also gave him. (We found it in a trash can.) 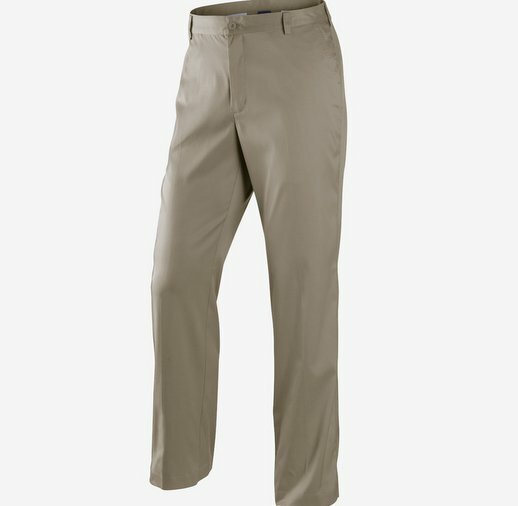 Hey, what are golf buddies for? 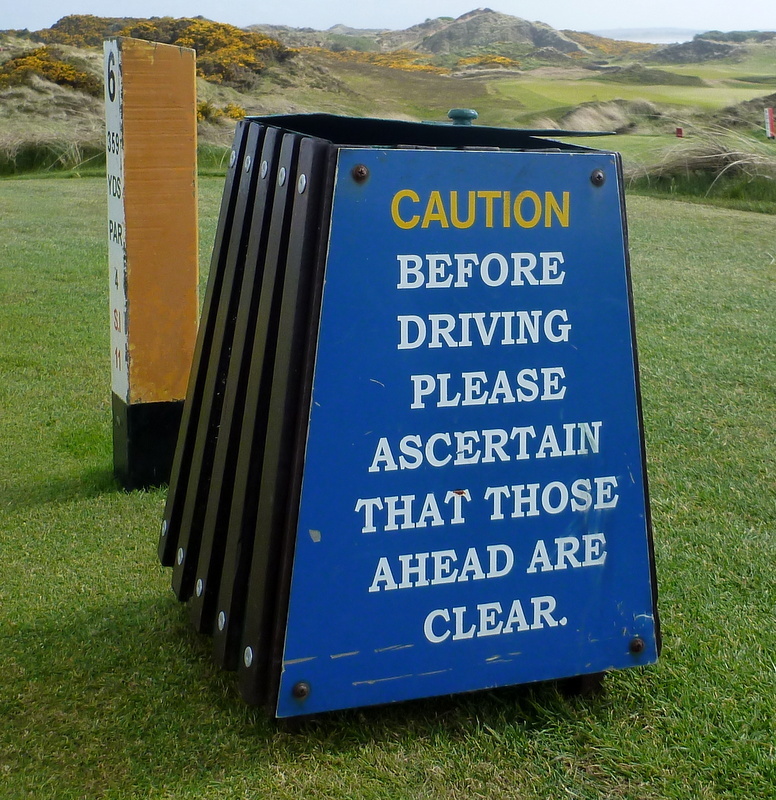 Stanley, Cruden Bay Golf Club, Scotland, 2008.